This custom order included all but a topcoat. 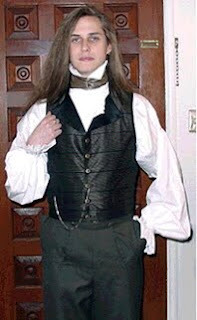 The request was to reproduce the outfit worn by Louis as he fled the burning docks. 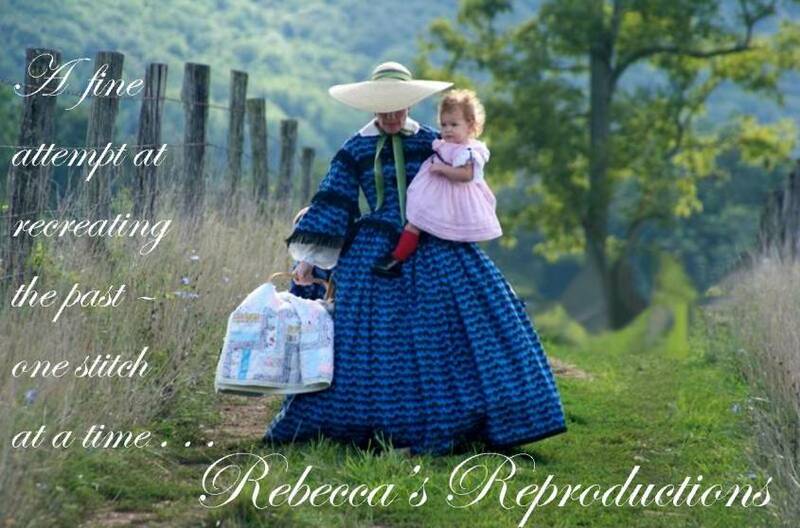 The time period was late 1830s early 1840s. 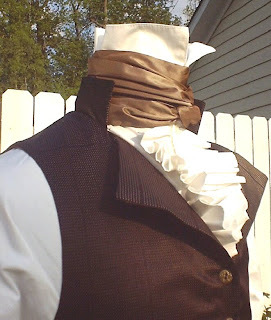 Brown wool pants, white cotton high collared shirt with attached breast ruffle. 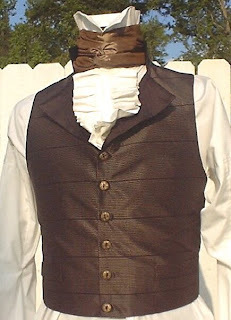 Brown cravat, reversible waistcoat. The trousers were a straight leg, fall front. 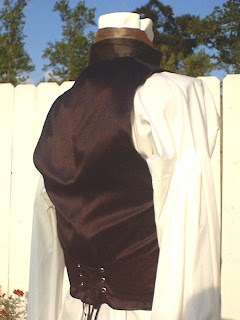 The waist coat was actually made to be reversible. 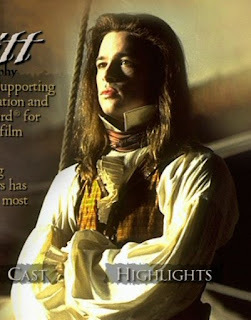 One fabric was the striped effect like the movie, the other was of a darker more solid looking fabric. 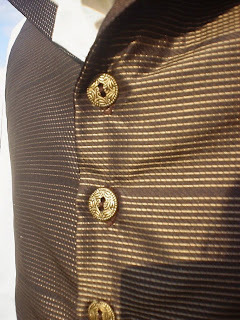 The same buttons were used on both sides.